There has been such a clamor for this yummy churros since last year, or some 2 years back. 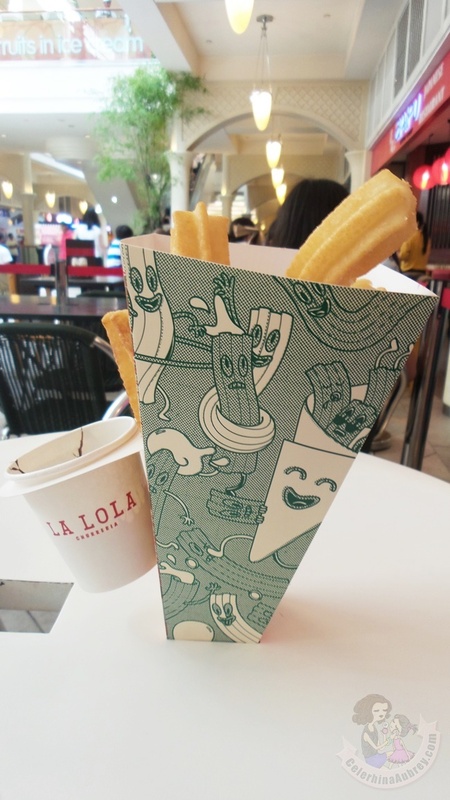 I first heard it from my favorite DJs (Chico, Delamar and Gino) as they talk about the long lines and heavy clamor for La Lola's churros. I've been meaning to try it for ages but I can't find it anywhere. So when one fine afternoon, before the #FabSkye and I head for an event at Rockwell, I didn't miss the chance to drop by their Rockwell store. So far, I must say that I totally get the clamor. Imagine soft chewy churros with dark chocolate dip? Heaven! I love it's not too sweet so I was able to share the churros to my daughter who also loved it. My only concern is that it’s too much for the #FabSkye and I. Di namin naubos mag ina. Probably because the churros are really heavy. Obvious na hindi puro enhancers. 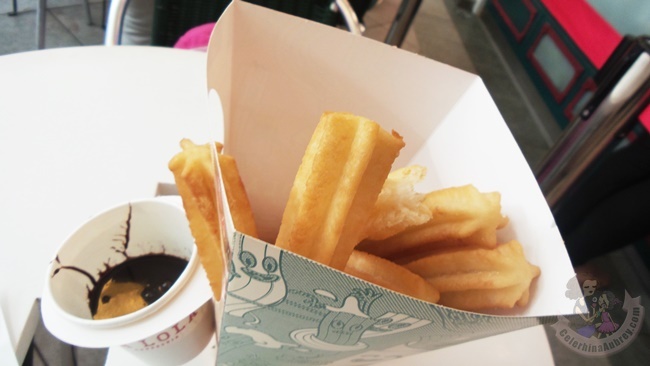 I also love the simplicity of their churros and super yummy chocolate dip. Super perfect! Go and try them out.